The Media Development Authority (MDA), a Singapore government body responsible for everything from film ratings to funding animation projects, has produced a music video of their own. Singapore is a never say die place, and this video seems to say: "if you can't beat em join em". It's getting lots of attention here in Singapore, both positive and negative, but some of the more interesting comments have compared MDA favorably with the FCC and RIAA. Anyway, I enjoyed the creativity and liveliness of the piece, even if it's a bit overburdoned with "mission statements and action plans". Gotta say that MDA's Communications Director Cassandra Tay, who created it, has some guts. "The organ was really the instrument that inspired Bach to be a composer." So says Felix Hell in a new documentary film on Johann Sebastian Bach, to be shown at the Entertainment Gathering in Los Angeles next week. Makes you think about the influence of computers - both instruments and computers help us extend the elegance of mathematics into our consciousness, and ultimately generating our reality. In his introduction to the YouTube preview clip, presenter Dr. Lewis Thomas intones "We are a jeuvenile species, just beginning to learn how to use our thumbs and how to use language. And considering that, this early on, we managed to turn out Johann Sebastian Bach... I think we've done pretty well." Google this week introduced a set of open APIs known as 'Open Social' that allow social media software to interoperate. 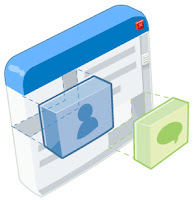 Specifically, Open Social lets developers create containers and applications that can easily integrate with web sites. Many have speculated that Open Social is Google's challenge to Facebook, and indeed many partners have immediately embraced the new API, including MySpace, Friendster, hi5, LinkedIn, Ning, Plaxo, Salesforce.com, Six Apart, Tianji, Viadeo, and XING. But (Macromedia founder and CEO of Broadband Mechanics) Marc Cantor says that Google had nothing to loose (since Orkut wasn't that popular), and everything to gain (by positioning itself as a platform for the socialisation of every application). He also doesn't count Yahoo and Microsoft out of the picture. Robert Scoble has recorded a 20-minute video interview with Marc Cantor that starts slow but has some amazing insights on the Open Social announcement. And there are a couple follow on clips too. I'm planning to deliver a speech, and I thought it might start like this. "I want to speak with you today about technology in education. More specifically, about information communications technology as it applies to learning. This is a domain which I describe as 'learning communications'. Learning communications may be thought of as arising from the eLearning market, which is traditionally segmented into, one the one hand, companies which produce technology solutions like learning management systems, and on the other, companies which produce content. But the learning communications market includes both content and communications, in much the same way as say, interactive digital media. If we look closely at eLearning content, we can see that even the content courseware, modules, and RLOs (ie- reuseable learning objects) cannot be separated entirely from communications. Each comes with an agenda, protocol, pedagogy and set of desired learning outcomes. It would be nice to think that an RLO is a static, stand-alone piece of content. But it is much like the tree which falls in the woods; if there is no one around, does its falling make any sound? Thus we must always return, in fact we should begin, from the perspective of communications. We must ask, what is the best medium of communications in order to affect the desired learning outcomes? That is the perspective of learning communications."